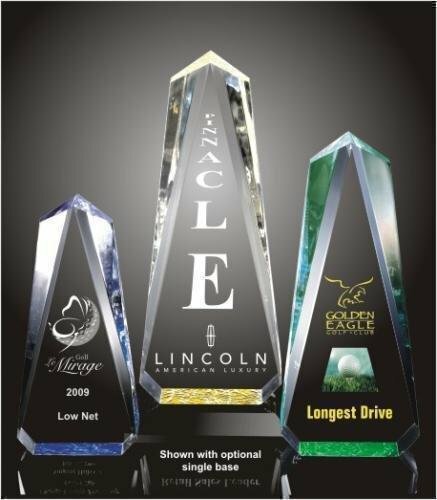 The Faceted Obelisk acrylic award is a stunning award, crafted from the finest acrylic and polished by hand to perfection. It features four faceted cuts. Available in three sizes. 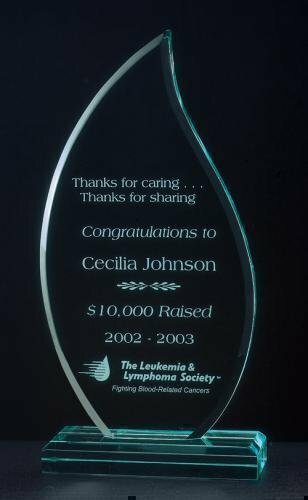 The jagged frosted top on this unique rectangle design reflects the color at the top of the base, creating a subtle hue that unifies the award. The black acrylic base provides a sturdy and elegant foundation for the large personalization area. 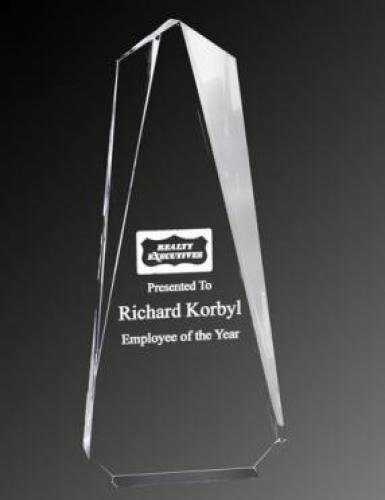 Polished acrylic offers value in a creative award design. 1" thick acrylic. Blue 6" Tall x 1"
Blue 7" Tall x 1"
Blue 8" Tall x 1"
Gold 6" Tall x 1"
Gold 7" Tall x 1"
Gold 8" Tall x 1"
An Elegant Jade Glass Octagon Award on Matching Jade Base. Gift box included. An Elegant Jade Glass Rectangle Award in Matching Jade Base. A Stunning Frosted World Globe Crystal Award with Clear Crystal Base and Fully Laser and Rotary Engravable with Deluxe Velour Lined Presentation Box.